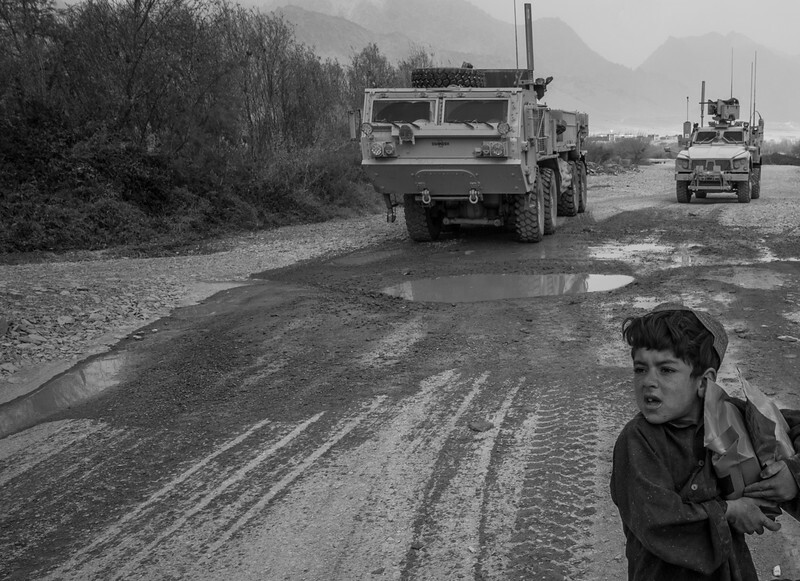 Photographs of United States military missions and civilian life from all over Afghanistan, 2009-2011. A crucifix hangs in an armored vehicle as US soldiers download after a patrol for insurgents in Zabol province on Wednesday, December 8, 2010. 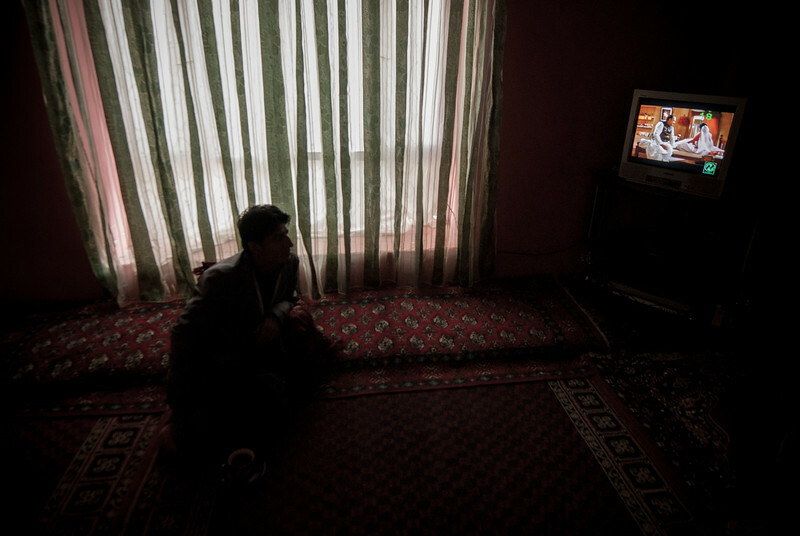 Jamal Hakimi watches a Turkish soap opera at his home in Mazar-E-Sheriff on Tuesday, November 16, 2010. Turkish soaps and professional wrestling are extremely popular among Afghans. 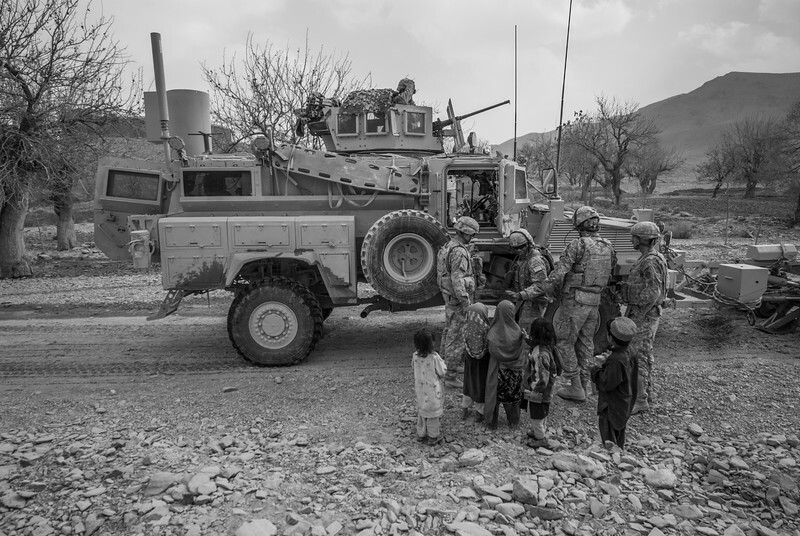 Soldiers from the 2nd Striker Cavalry Regiment, Fire Squadron, Engineer Troop, 1st Platoon give MRE rations to Afghan children in Zabol province on Tuesday, December 7, 2010. 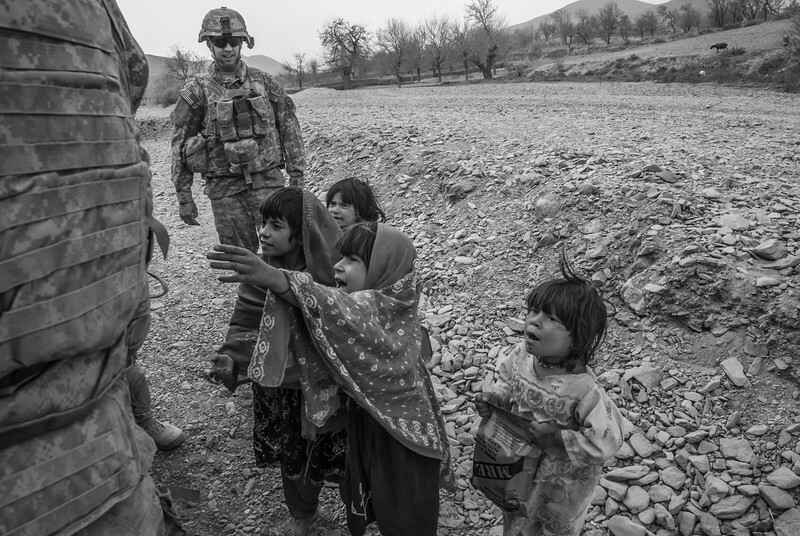 "Hearts and Minds," the United States military occupation philosophy, encourages soldiers to ingratiate themselves with locals by offering food, protection and medical assistance. A boy guards the food given to him by US soldiers on Tuesday, December 7, 2010. 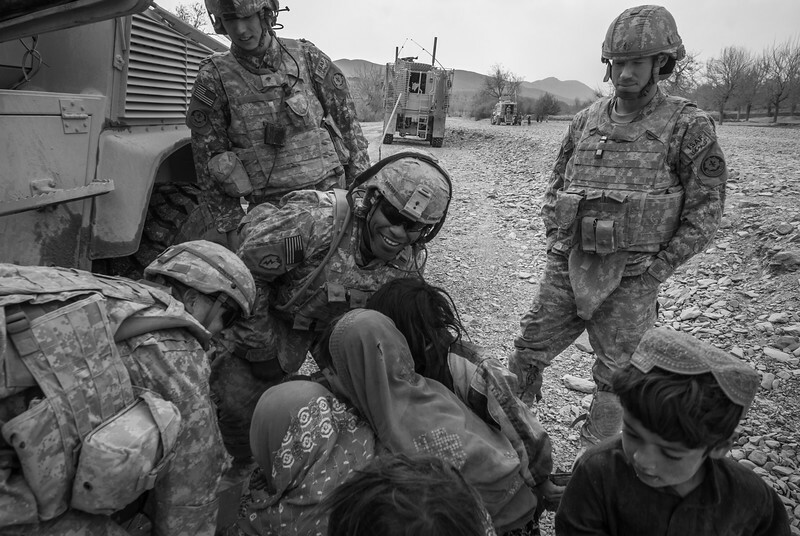 "Hearts and Minds," the United States military occupation philosophy, encourages soldiers to ingratiate themselves with locals by offering food, protection and medical assistance. 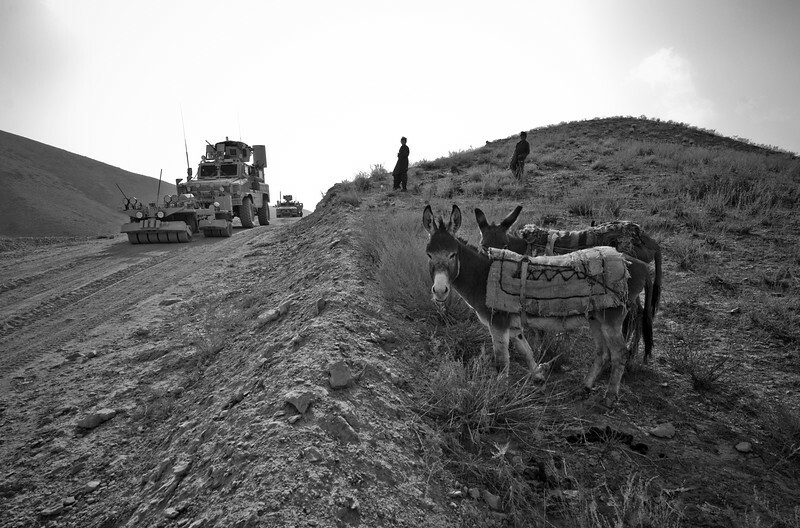 Afghan boys and their donkeys wait for US military vehicles to pass before crossing the road in Zabol province on Monday, December 6, 2010. US soldiers flank the road to check the culverts beneath it for insurgent bombs in Zabol province on Tuesday, December 7, 2010. Afghan boys pose for a photo outside the caves, once used for meditation by Buddhist monks, in Jalalabad, on Monday, November 1, 2010. 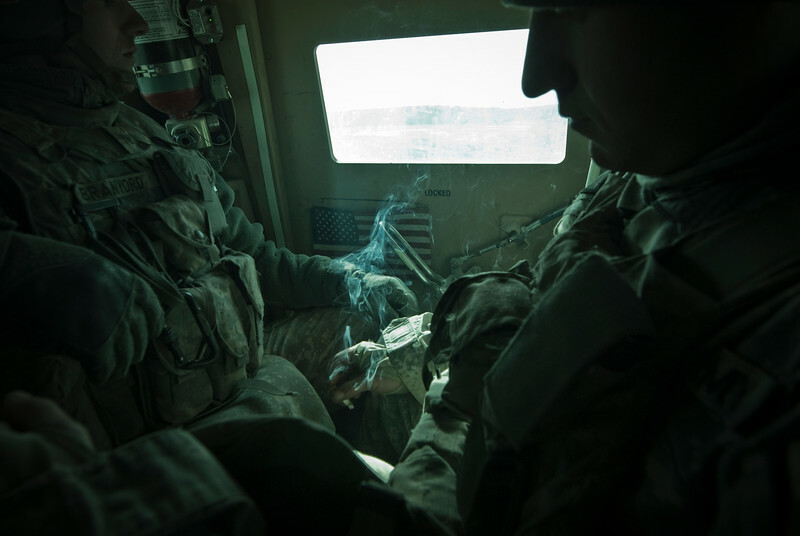 SPC's Griffie, right, and Branyord ride in the back of a mine-resistant vehicle on the way to the next culvert in the road on Thursday, December 9, 2010. 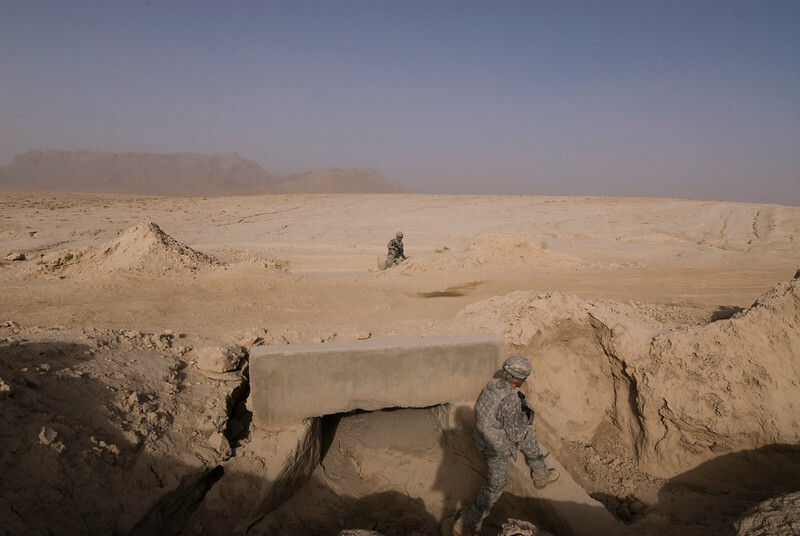 The pair check an average of 80 culverts per day for explosives planted by insurgents. Scenes from Old Kabul on Sunday, July 19, 2009. At left, boys play soccer in one of the tunnels that link the subterranean parts of the city. At right, a man pushes a wheelbarrow along a dirt road. In the capital, as in much of Afghanistan, daily life for many seems to predate modern fashion, architecture and technology. 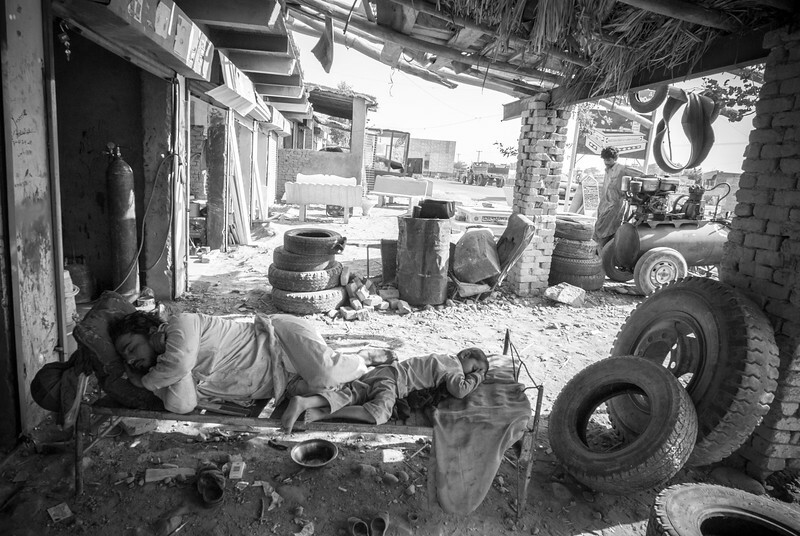 A man and a boy nap on a cot at a mechanic's shop in the city of Jalalabad, Afghanistan on October 28, 2010.